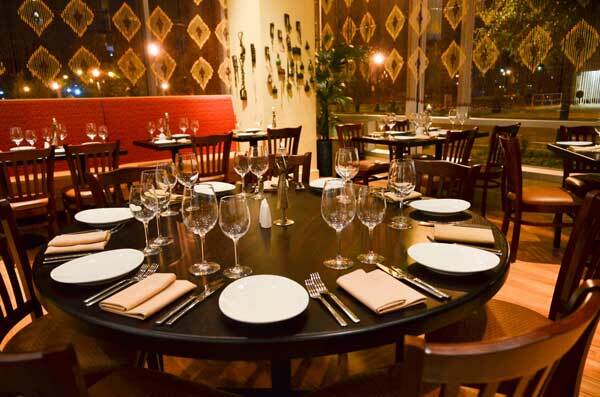 On Mondays every month, Masala Art SW features a menu of dishes from a specific region of India. Every Monday in March, will be a Adwadhi selection. Adwadhi cuisine is a cuisine native to the city of Lucknow, which is the capital of the state of Uttar Pradesh in Northern India. The cooking patterns of Lucknow are similar to those of Central Asia, the Middle East, and Northern India with the cuisine comprising both vegetarian and non-vegetarian dishes. The Awadh region has been greatly influenced by Mughal cooking techniques, and the cuisine of Lucknow bears similarities to those of Central Asia, Kashmir, Punjab and Hyderabad. The city is also known for its Nawabi foods. The menu is priced at $24 for vegetarian dishes and $27 for dishes with meat. The non-vegetarian menu consists of an appetizer platter of Gilawat Kabab--minced lamb, cloves and cardamom; Surkh Barrah Murg - chicken cubes with black pepper and yogurt; Jalpari ke Tikke - tilapia with red chilli paste and cumin; followed by a main course including a selection of Murg Do Pyaza - chicken cubes with onion and cilantro; Gosht Badami Korma - lamb curry with brown onion, cream and almond paste or Machchi ka Khasa Salan - fish curry with sesame, peanuts and coconut. The vegetarian menu features an appetizer plate of vegetarian Shammi Kabab - channa dal with mint and green chilli; Imli Aloo Channa - potato with white peas, sweet yogurt and tamarind sauce and Mewe Mawe ki Seekh - cheese and dried fruit. For the main course, choices include Subz Nooe e Chashm - mixed vegetables with coconut, tomato and curry leaves; Paneer Kundan Kaliyaan - cottage cheese with yogurt and cashew nut sauce or Aloo Palak - spinach and potatoes with whole red chilli. Both meals are served with Dal Dhungri, Vegetable Tehri and Sheermal and Smoked Black Mosoor Dal, Pulao and Sweet Bread. Desserts for both meals are Kulfi Falooda and Malai & Rasmalai Chop. 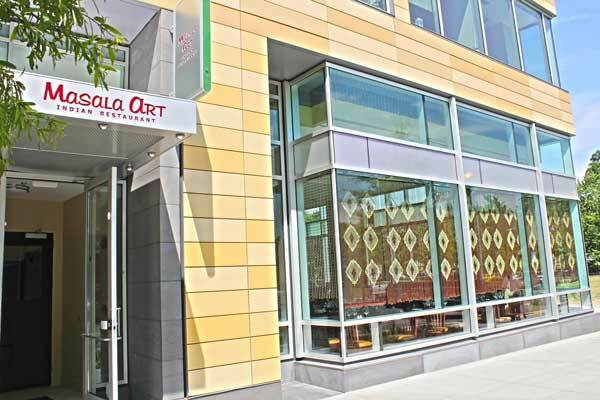 Masala Art SW is located at 1101 4th Street, SW; and Masala Art NW and is open daily for lunch from 11:30 AM - 2:30 PM, and dinner from 5-10 PM. 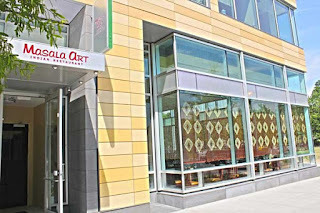 For further information or reservations, log into www.masalaartdc.com or www.opentable.com.